presenter losing its connection. 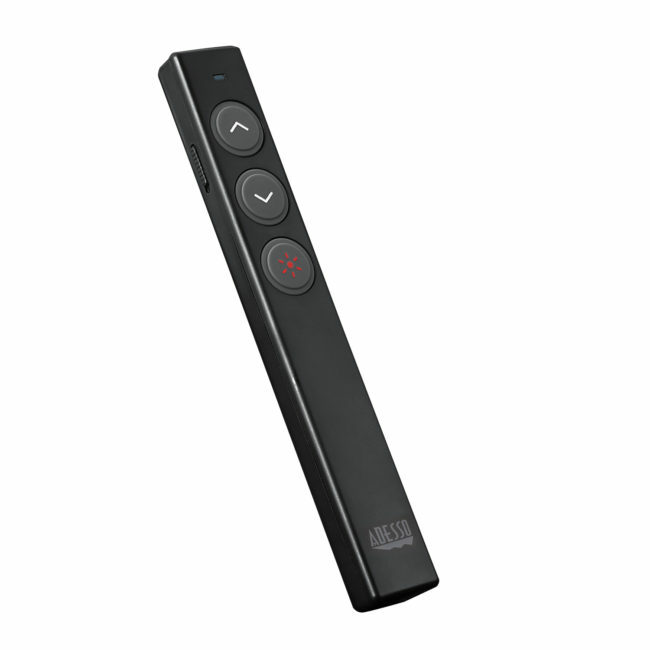 To help your audience becoming more engaged during your presentation, the iMouse P10 has a Class III rated laser that is bright and easy to see. 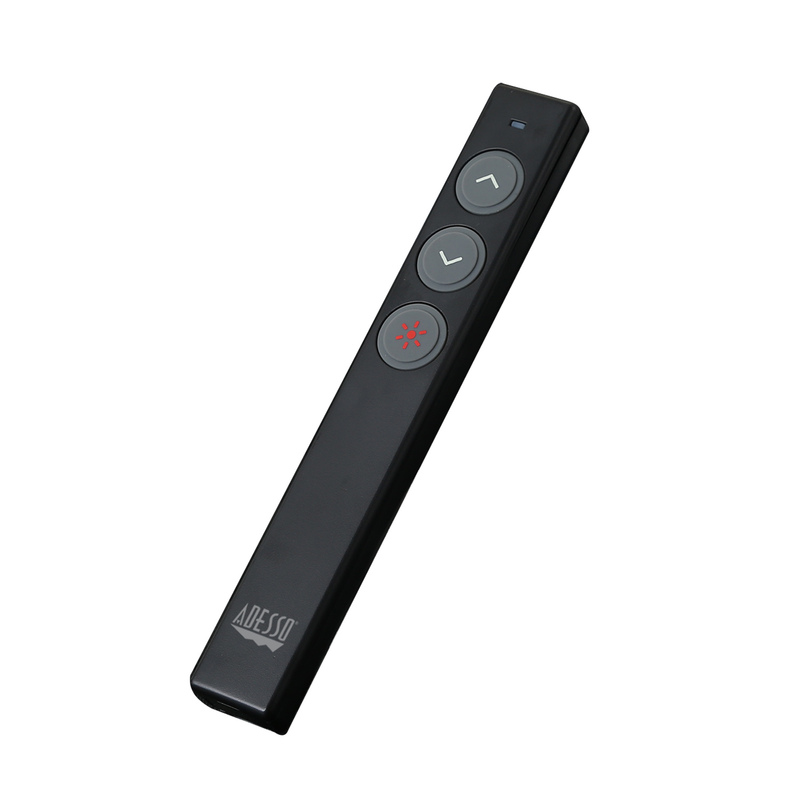 Combined with its lightweight and magnetic storable nano receiver, the iMouse P10 makes ideal presenter choice for those on the go. Equipped with a 150 feet wireless operating range and utilizing 2.4 GHz RF wireless technology, you can confidently deliver your presentation with the iMouse P10 in any environments. The iMouse P10 has universal compatibility with Windows, Mac OS, Linux, and Android, making it truly versatile in different operating system environments. The iMouse P10 is compatible with some of the most popular presentation softwares such as Windows Office (PowerPoint/Word/Excel/OneNote), iWork (Pages/Numbers/Keynote), Prezi, and Google Slides. 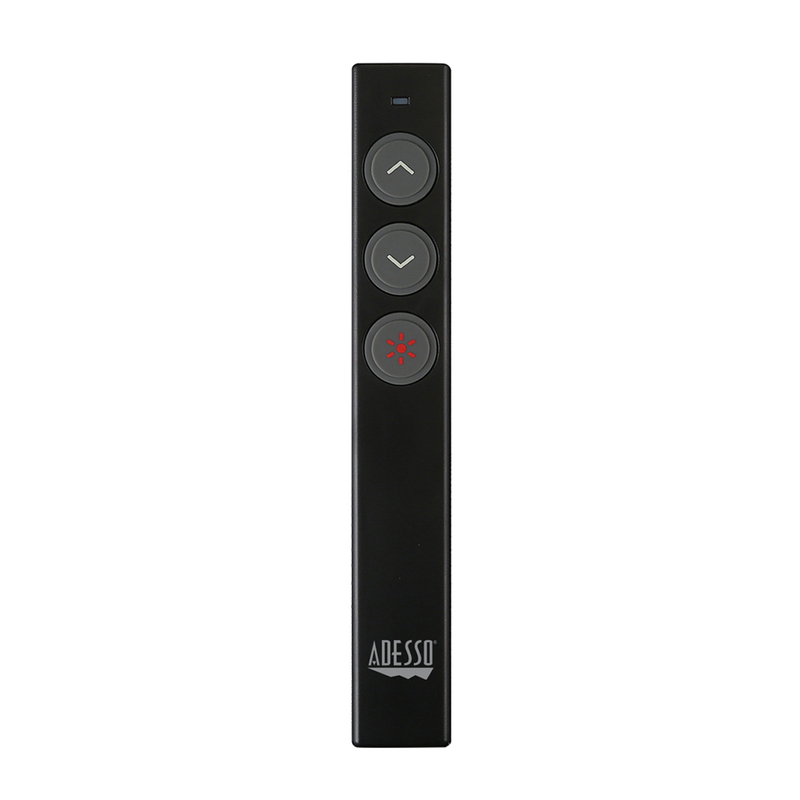 The powerful and easy to see laser pointer provides more engagement between you and the audience during your presentation. 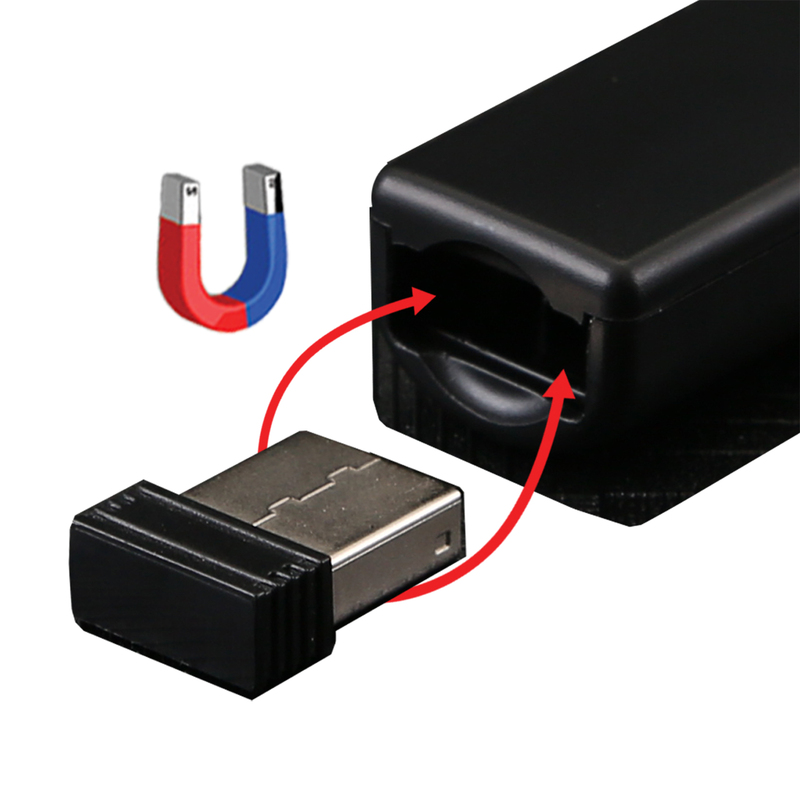 Simply place the nano receiver into the magnetic storage compartment and you will never lose your receiver again. Weighing at merely 1 ounce, the iMouse P10 is extremely lightweight, making it stress-free and the ideal presenter for both operating and traveling. 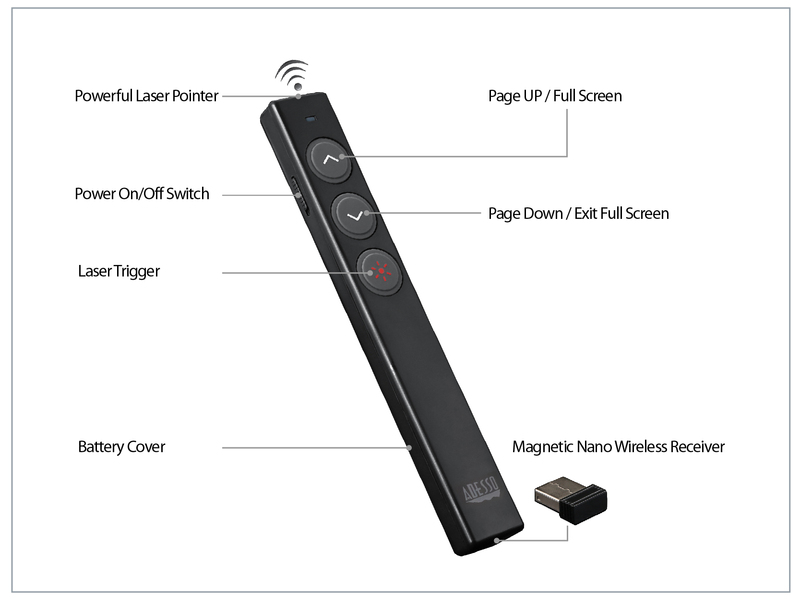 Plug in the nano receiver, turn on the presenter, and start your presentation right away.